PHOTO BY JACOB GURNEY Rescue personnel work to put out a truck fire at 7744 W. SR 18 Saturday evening. BASCOM — Bascom Joint Fire District responded to 7744 W. SR 18 for a truck on fire Saturday evening. Assistant Chief Chris Daniel of Bascom Joint Fire District said when crews arrived at the scene, a truck was involved and they were able to contain the fire to just the truck. A garage near the truck had minor exposure damage due to the heat, but the fire did not spread to the building, he said. Daniel said some siding melted off a corner of the building, but that was it. The fire took about 10 minutes to put out and 1,250 gallons of water was used to put the fire out, he said. Daniel said crews remained on scene for 45 minutes completing overhaul and conducting the investigation. The vehicle is owned by Nick McCormack, according to a Bascom Joint Fire District fire report. The property is owned by Robert and Michelle McCormack, according to the Seneca County Auditor’s Office website. Nobody was in the vehicle at the time of the fire and nobody was injured, he said. Daniel said the truck was a total loss and the loss estimate of the garage was about $100. The cause of the fire was undetermined Friday night, but appeared to be electrical in nature, he said. NBS Joint Fire District was on standby at its station, he said. 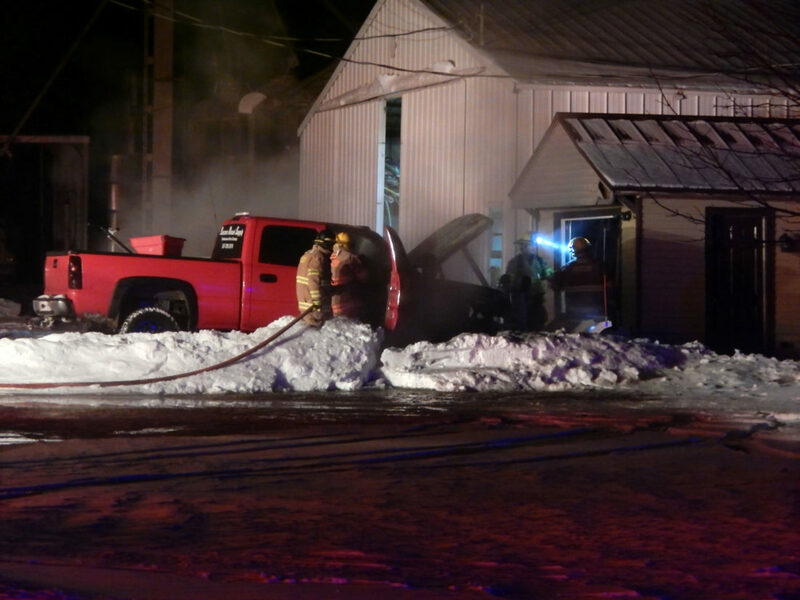 The fire was reported at 6:29 p.m. and Bascom Joint Fire District, Bascom EMS and Seneca County Sheriff’s Office responded to the scene.